Comme des Garcons fragrance and perfume list. Comme des Garcons exists in a sphere of its own. No other brand has managed to provoke such a spectrum of reactions that range from surprise and adulation to confusion and outrage. 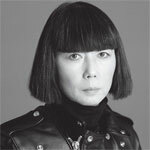 The label, founded in Tokyo in 1969 by Rei Kawakubo, is now an international phenomenon and a thriving business. ... The brand has reached iconoclastic status as it sets its own rules without taking into account market trends and competitors. In fashion, preconceived ideas of beauty and prevailing trends are swept away in what is sometimes referred to as "anti-fashion". Comme des Garcons fragrances are also know for their disregard of conventional industry techniques. Each unmistakable scent explores the boundaries with alternative ingredients such as tar and ink. ... In 2002, Comme des Garsons signed a license agreement with Puig to manufacture and distribute fragrances maintaining the unique spirit of the brand. Comme des Garcons 2 was launched in 2004, followed by Commes des Garcons 2 MAN (2005), Comme des Garcons 8 88 (2008), Wonderwood (2010) and Amazingreen (2012).